Set against a backdrop of Kentucky horse farms, Bits of Me follows the story of Melanie Wainright, a big city advertising exec who returns to her horse farm roots to become the marketing manager for Kentucky’s premier equestrian magazine. Jaded by bad relationships, she has no room for men in her life – nothing serious anyway. Until she meets Jake. Jake Hamilton, leading Kentucky trainer and one-time U.S. Equestrian Team hopeful, has secrets of his own and has sworn off committed relationships, preferring understood “arrangements” with certain socialites. Until he meets Melanie. Their accidental meeting sets off a chain of events that can either destroy them or heal them. Will they take a chance on love? hat does a horse think when you make it choose between a red and a green apple? Can you sneak up on a horse? Why do people look at a horse’s teeth? Who was Secretariat and Beautiful Jim Key? 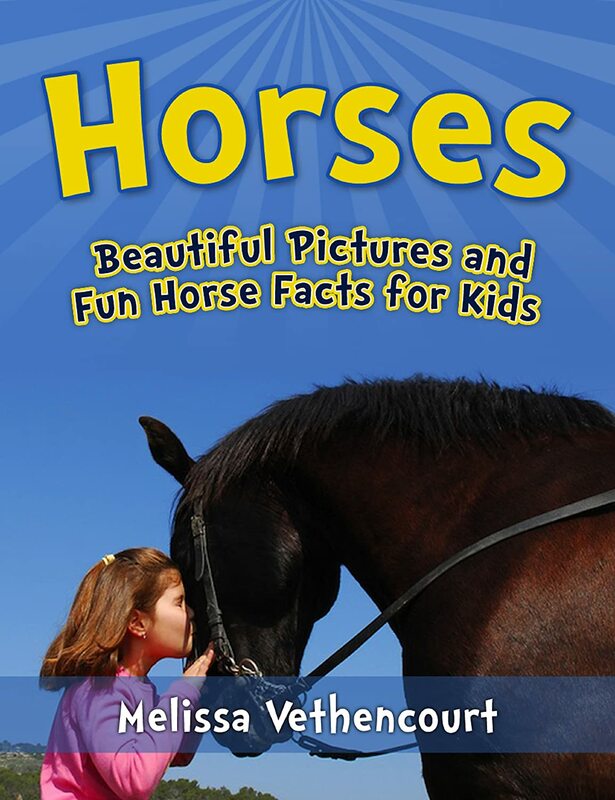 “Horse Facts for Kids” is a book packed with great fun facts about horses, presented with beautiful pictures that kids, teens and grown-ups alike will enjoy. Horses were domesticated thousands of years ago and have since been used for many different things such as horse riding (including amazing sports like horse jumping and dressage), carriage driving and farming. Most people will agree that the horse is one of the coolest animals on the planet! Don’t forget to check out the hilarious horse joke at the end!